We wanted to go to the game yesterday but we we’re afraid we couldn’t find cheap tickets so decided to wait for another time. Wise choice because we lost -_- 2-0. Eh, nevermind. We couldn’t go to Lidl like I wanted cuz we we’re already late so I made a banana kinda milkshake :). 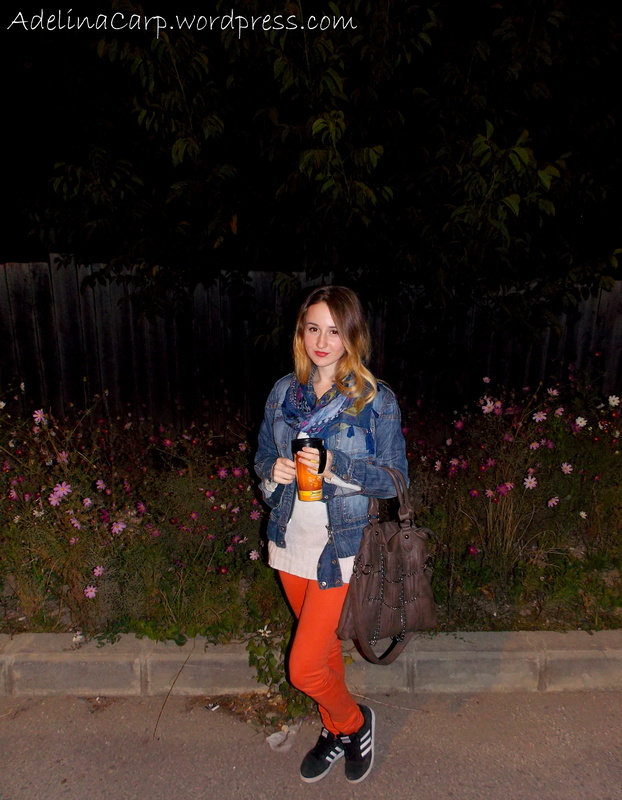 I wore my old mexton jeans jacket. I have it for a couple of years but is a love-hate relationship :P. I can’t wear it with blue jeans so I chose some orange ones.